You may recognize this mansion from "Gone Country"
Just when you think you can't take one more famous country music home tour only to end up looking through yet another long gated driveway, along comes a place like Fontanel Mansion. Yes, sure, the main entry is normally locked and gated. But the folks over at Fontanel have keys and free shuttles that will not only deliver you to the front steps of this impressive 27,000-square-foot mansion but will also do it seven days a week — and from downtown Nashville, too. The Fontanel Mansion was built for Barbara Mandrell and her family back in the 1980s, and they owned the 136-acre property until 2002 when it was sold to its current owners, Dale Morris and Marc Oswald. Country music fans might recognize the mansion from CMT's hit show, "Gone Country" or any numerous other photo and video shoots. One of the most impressive pieces of information about the mansion is that local architect firm, Tuck-Hinton had a hand in its design and building. But then again, if you know anything about Tuck-Hinton, you will know that this firm has been involved in building some of Nashville's most impressive structures, including the Adventure Science Center, Bicentennial Mall State Park and the Country Music Hall of Fame. What's Inside the Fontanel Mansion? 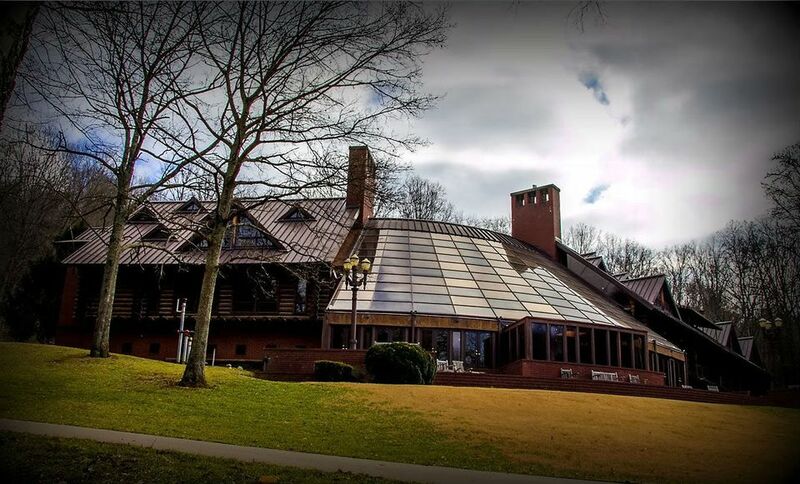 The Fontanel Mansion itself is, of course, filled with plenty of unique Mandrell family items, right down to a family Bible, but it is also filled with a ton of other country music memorabilia that its current owners have garnered over the years. Unlike many other home tours, guests at Fontanel actually get to explore, relax and enjoy the home. You can even touch the items. After the guided tour, visitors can sit, relax with a refreshment and stay a while in the pool atrium. The Fontanel property is not just a home tour or a museum. It's really an entire complex filled with things to see and do. Fontanel has the mansion, a restaurant, an impressive outdoor music venue, a studio and plenty of walking trails. You can enjoy any number of the amenities alone, with or without the mansion tour. The Trails at Fontanel are free and open to the public during the day, although you do need to check in upon arrival. The restaurant is open seven days a week. The Fontanel Restaurant offers tasty food in a relaxing setting and for a good price, too. There's also an outdoor music venue, The Woods at Fontanel. This venue offers not one bad view of the stage and it's lined with thick, wooded trees on three sides and the stage on the fourth. On one side are concessions and bathrooms and on the other, the hillside features rustic, tiered sky boxes. The Woods can hold up to 2,500 people. The mansion has stories, 18 rooms, seven full baths, six half-baths, five fireplaces, two kitchens, a media room, indoor pool and spa and even an indoor shooting range. The mansion at Fontanel is also available for private rentals, from a poolside shindig to an elegant affair. The restaurant is a 140-seat full-service restaurant with home-cooked food, much of which will come straight from area farms. Daily specials highlight seasonal flavors. The mansion's Gallery Museum houses exhibits and showcases from many artists. The museum is equipped for intimate performances and smaller private events, such as rehearsal dinners, industry showcases and even television and radio productions. Taking full advantage of the beautiful meadow and woods of the Fontanel Mansion, the Trails at Fontanel offers a relaxing, scenic trail for horseback riding, hiking or mountain bike rides.